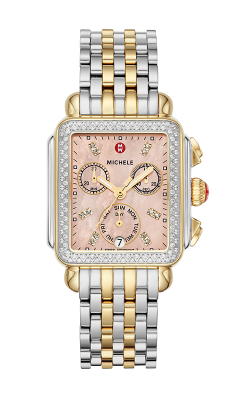 Made to reflect the grace, spirit, and heart of the 'leading ladies' in everyone's life Michele Watches are truly one-of-a-kind timepieces of an unsurpassed beauty, construction, and incomparable Swiss accuracy. Named for the founders' precocious first child, Michele, the timepieces by Michele Watches have long been renowned for their superb attention to detail, fun and functional designs, as well as for their commitment to using only the highest-quality precious metals, leathers, gems, jewels, and brilliant conflict-free. 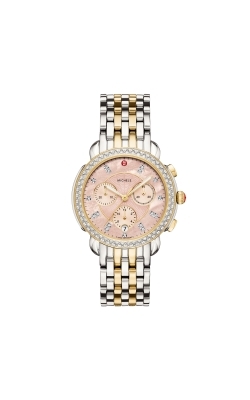 Whether searching for the ideal timepiece for yourself or for the strong women in your life, the friendly staff at BARONS Jewelers, servicing the East Bay Area, is proud to carry an array of exquisite Michele Watches collections, all containing a multitude of beautiful Michele timepiece models perfect for any 'leading lady'. 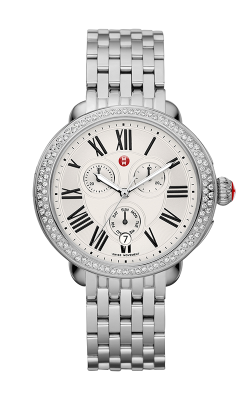 Why Buy Michele Watches from BARONS Jewelers? For nearly 50 years, BARONS Jewelers has been the premiere destination in the Dublin/East Bay Area for finding top-quality, 100% genuine wedding bands, engagement rings, luxury-grade timepieces, as well as custom and fine jewelry items from some of today's most popular bridal and fashion jewelry designers. In addition to offering a massive inventory of some of the most today's most popular jewelry designs and items, the staff at BARONS Jewelers is unrivaled in their commitment to creating in their intimate Hacienda Crossings showroom, a stress-free and enjoyable jewelry shopping experience for each one of their valued customers. Additionally, guarantying the utmost satisfaction in all purchases, BARONS Jewelers offers a 60-day exchange policy, sensible financing plans, as well on onsite goldsmiths, watch experts, and appraisers, all ensuring that every item sold remain flawlessly exquisite for a lifetime. Since 1967, BARONS Jewelers has been the first name in luxury grade 100% authentic timepieces in the East Bay Area, as is proud to be an authorized dealer of some of the most popular collections of Michele Watches available today. 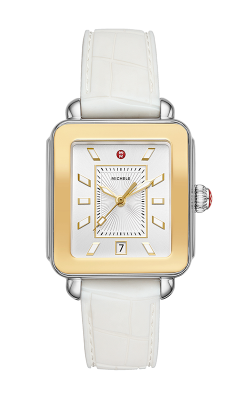 Popular Michele Watches collections include, the South Beach-influenced Deco collection, the glamorous Serein collection. Additionally, for ladies with more distinctive and unique taste, BARONS offers Michele timepieces from the the wonderful Belmore collections. 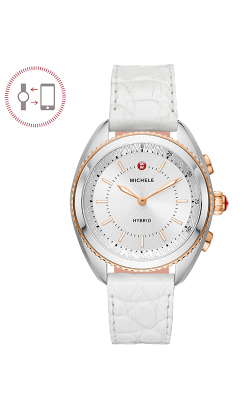 Additionally, all Michele Watches feature interchangeable straps and bracelets, making each model a unique and one-of-a-kind timekeeping devices for the strong, graceful, and special women in anyone's life.